Even the attentive, personalized care we offer at Sachse Family Dentistry isn’t enough to keep every patient comfortable during dental visits. If you are one of the millions of adults who suffer from dental phobia or anxiety, you may require a little extra help relaxing in the dental chair. For anxious patients, those with sensitive teeth and gums, and those who need extensive treatment, we offer sedation dentistry. Contact our office to find out more. 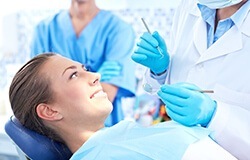 If you experience dental phobia or anxiety, we may recommend oral conscious sedation. The sedative is administered in pill form at a predetermined time prior to your appointment, so you’ll already be thoroughly relaxed once you arrive. The effects of oral conscious sedation are long lasting, so you should plan to rest for at least twelve hours following your final dose of sedative. You will also need to have a friend or family member drive you to and from your appointment. 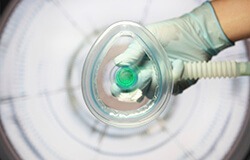 Nitrous oxide is a gas inhaled through the nose during treatments. This gas creates a euphoric feeling and reduces pain sensation. Sometimes referred to as laughing gas, nitrous oxide allows patients to remain completely comfortable during treatment. Dr. Rottman is able to adjust the dosage of nitrous oxide throughout the procedure in order to ensure patients maintain their optimal level of comfort and relaxation. The effects of nitrous oxide are fast acting, so you’ll achieve complete relaxation almost immediately. Additionally, the sedative effects of nitrous oxide wear off quickly, so you’ll be able to resume your daily activities right away. You can also drive yourself to and from our office. Nitrous oxide sedation is a great option for patients who experience difficulty numbing with local anesthesia alone.